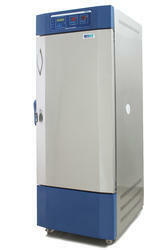 Our valued clients can avail from us the best-in-class Stability Test Chambers. Refrigeration system with CFC free compressor and R-134a eco-friendly refrigeration system with time delay. With vast industry experience, we are able to fabricate a durable range of Walk-in Stability Chamber. 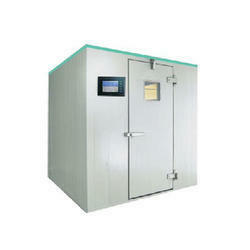 We are offering of Walk in Stability Test Chamber. The equipment is calibrated with the help of master calibrator, which is certified for its accuracy by Electronics Regional Testing Laboratory (ERTL West) Government of India recognized testing laboratory with traceable reference to National Physical Laboratories (NPL). Software: CFR 21 Part 11 compliance web based communication software for data management. Complete with RS 485 multi dropping to monitor multiple chambers to one software. P C Interface and data management: PC Interface communication allows remote monitoring and data logging to control the chamber. Web based software having reports in tabular as well as graphical form. Temperature & Humidity sensor: Electronic capacitance type Temperature & humidity sensors, which will avoid wick, cup and water. PLC system: for auto changeover of standby systems and other event managements with 3.8" LCD display with touch screen, security lock for prevention of unauthorized tampering. Documentation: For GMP compliant models LABTOP offers DQ IQ, OQ and PQ validation with documentation, reports, calibration and test. 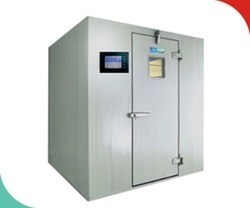 Looking for Stability Test Chamber ?